Dr. Ajai Kr. Pandey is a Assistant Professor (SGr.) in the Kayachikitsa Department of Faculty of Ayurveda, Institute of Medical Sciences at the University of Banaras Hindu University. He received his Ph.D. Degree in Department of Kayachikitsa on the topic entitled as “A Clinical Study on Certain Diabetic Complications under the Influence of Naimittika Rasāyana Therapy (with special reference to Niśāmalakī and Śilājatu)” from Banaras Hindu University in 2012 and earned his postdoctoral from university of …Banaras Hindu University. Then worked as a Assistant Professor in Department of Kayachikitsa, Faculty of Ayurveda, IMS, Banaras Hindu University for 7 (sven) Years. 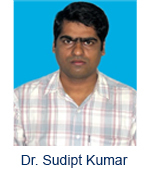 He is having 11 Years of Experience in the field of UG, PG & PhD Teaching, training and Research in Ayurveda. His Area of Expertise includes: Internal Medicine, Yoga & Yogic Sciences, Prediabetes/ Diabetes mellitus/Metabolic syndrome and obesity. He is the author of 4 (four) books on Ayurveda Chikitsa, recipient of Prof.U.A. Asrani Gold Medal in Yoga Diploma-2003 from Banaras Hindu University. Dr. Sudipt Kumar Rath an Assistant Professor in the PG Dept of Dravyaguna Department of National Institute of Ayurveda, Jaipur. He received his M.D. Degree in Dravyaguna from University of Rajasthan in 2002 and earned his Ph.D. from Rajasthan Ayurveda University. 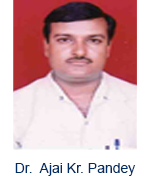 He is working as a Faculty in Dravyaguna in National Institute of Ayurveda, Jaipur for last 7 Years. He is having 15 Years of Experience in the field of Dravyaguna. His Area of Expertise includes: Medicinal Plants, Fundamental Principles and Application of Ayurvedic Herbs and Formulation Development in Ayurveda. H is the author of more than 70 articles, recipient of BM Memorial Gold Medal, etc. 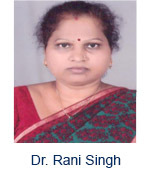 Dr. Rani Singh is an Associate Professor in the Siddhant Darshan. Department of IMS at the University of BHU. She received her Ph.D. Degree in Feburary 2010. from BHU. Then worked as a Associate Professor in IMS, BHU Institute/University for 13 Years. She is having 32 Years of Experience in the field of Ayurvedic. Her/his Area of Expertise includes: Fundamentals Principles of Ayurveda. She is the author of 56 research papers recipient of many awards etc.